CLOVIS (KFSN) -- A Clovis woman is asking the community to pray for her father whose cancer diagnosis recently forced him to close his longtime Selma business. "There is no easy way to say this. 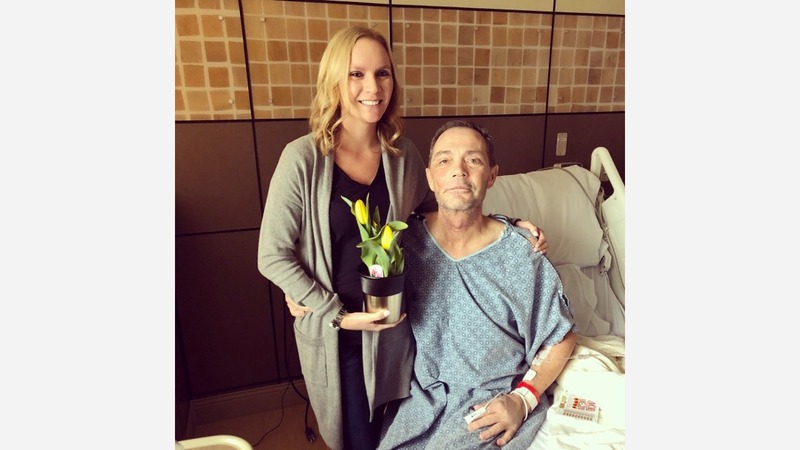 My dads cancer is back," Whitney Gerdts wrote on a GoFundMe page. "All we hope for now is that the doctors can come up with a regime to control his pain so he will be able to enjoy time with his family and friends." Her father, Kerry Daniel from Kingsburg was diagnosed with stage 4 Squamous Cell Carcinoma, a form of skin cancer. Surgeries and treatment led him and his wife Debbie to shut down Monarch Glass last month. They were the owners and operators of the small business since 1990. "My heart is so broken for my parents," Gerdts wrote on Facebook. "This is the place where I grew up and spent every summer going on jobs with my dad. I have so many emotions about what the future holds, but I know that God is faithful and I am so thankful for the people in my life who Love and support me I couldn't get through this without you." Now, her 61-year-old father spends his days at home on hospice care. Her mother is his caregiver, leaving them with no income. Since they were business owners, she says Daniel isn't eligible to collect state disability. To make matters worse, their savings was exhausted on Debbie's medical bills in 2013 when she was dealing with her own battle with cancer. That's why Gerdts is trying to raise money for her parents, to get them through this difficult time in life. "My parents are so overwhelmed with the amount of support they have seen from the community. They are so grateful."